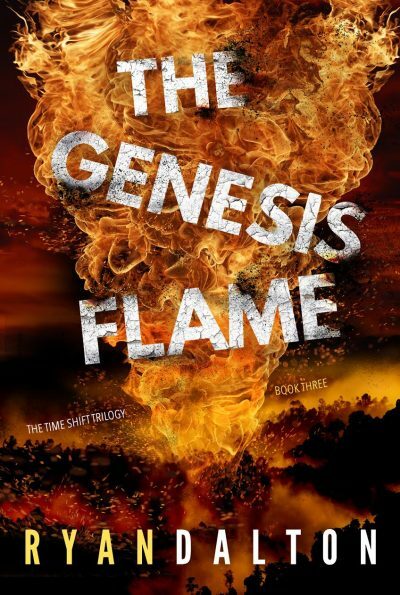 The Genesis Flame – Ryan Dalton Writes! Malcolm and Valentine Gilbert have defeated doomsday machines, ice monsters, and Time-traveling supervillains. Yet their full potential remains out of reach. When an enemy invades from the future, he brands them as war criminals. He blames their future selves for attacks on his people, and determines to save them by destroying the twins before they can ever strike. Amidst a war between ages, the twins must uncover the real truth about themselves, their accuser, and the secrets that brought him to their town. At all costs, they must unlock their true power before the enemy breaks the timeline completely. If they fail, it could mean the end of Time itself.